Strawberries are here! No better way than to enjoy them with a refreshing light salad that has you tasting the tropics. 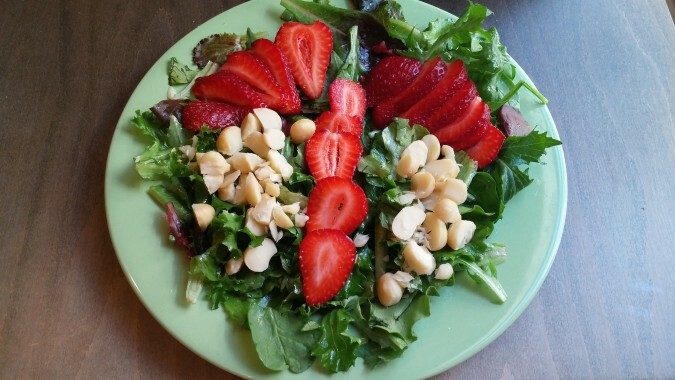 I was inspired to make this strawberry and macadamia nut salad from a visit to Maui. Remove the calyx (the green top) from the strawberries. 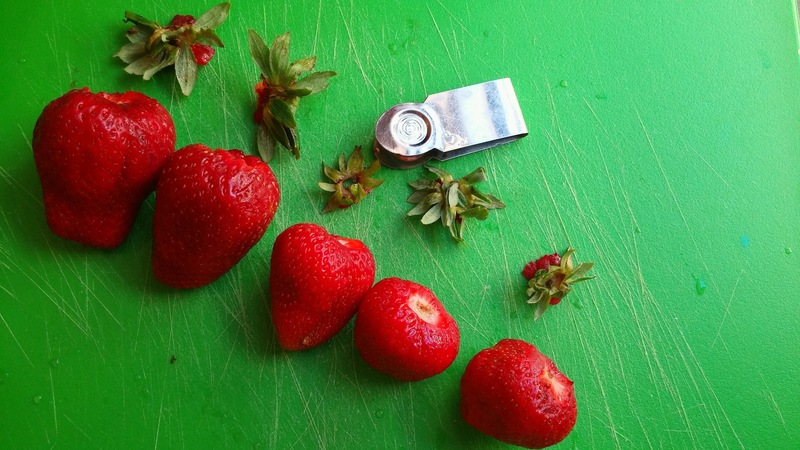 I like using a simple strawberry huller. Slice strawberries into thin pieces. In a bowl mix the macadamia nut oil, apple cider vinegar, whole grain mustard, and honey with a whisk or fork. Mix dressing to taste with the 50/50 salad blend. Divide salads among plates and decorate with sliced strawberries and chopped macadamia nuts. Recipe and Images courtesy of Susan Simitz, Earl’s Organic Produce.